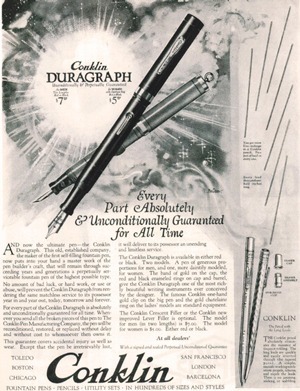 Conklin, to me, is synonymous with three things – a writing legacy that is now more than a hundred and twenty years old; the credit of creating the first self-filling fountain pen; and off-course, the legendary author Mark Twain, who endorsed the brand way back in 1903 with words that are now an integral part of fountain pen folklore “I prefer it to ten other fountain pens, because it carries its filler in its own stomach, and I cannot mislay, even by art or intention”. If one were to add a fourth to this list, then it would certainly be the Crescent Filler (for which the first patent was received way back in 1901 with two subsequent ones in 1903 and 1904). 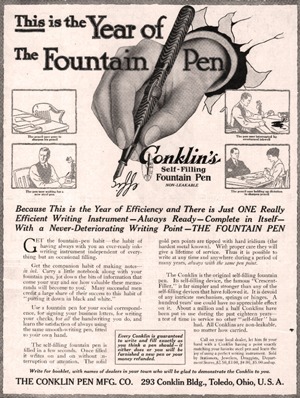 Suffice to say, the brand Conklin is as American as Tom Sawyer and as iconic as a fountain pen as they get. 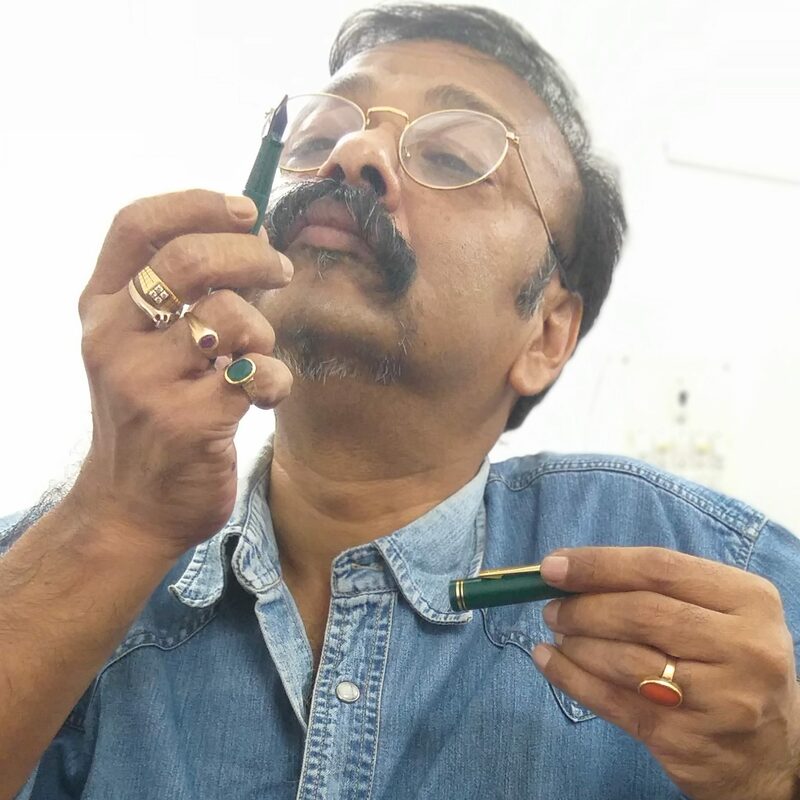 Naturally, when I saw a 120th anniversary limited edition, Conklin Duraflex with a rose gold flex nib at the 1st India Pen Show in Mumbai, my eyes misted, time seemed to stand still, and how I bought it, in the breathless state that I was in, is still a mystery. 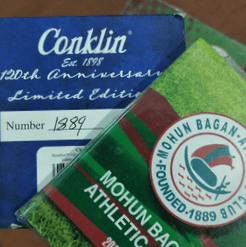 My acquisition is numbered 1889 (out of a total of 1898 pens) which was the delightful double whammy – 1889 being the year in which the Mohun Bagan Athletic Club was founded! 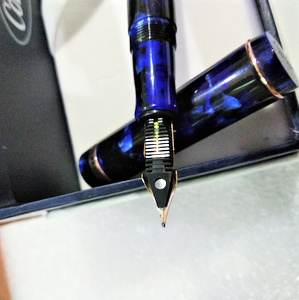 The Pen itself is an eye candy, made of black marbled blue resin and embellished with rose gold trim and clip. Conklin and Duraflex are engraved on opposite sides of the ring at the bottom of the cap. The barrel of the pen sports the engraved moniker Duraflex Anniversary Limited Edition. The cap-top sports the Conklin logo, while the nib has the term Flex and the Conklin logo engraved on it. The threaded cap can also be posted, though I personally feel that upon posting, the pen becomes too long and is a bit unwieldy for me. 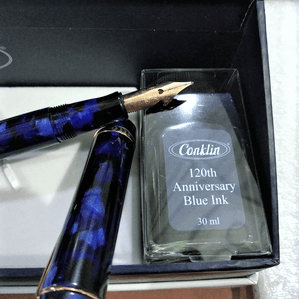 Included in the box is a 30 ml bottle of Conklin blue ink and an ink converter. For the uninitiated, this is a cartridge / converter type pen, which means that the front section can be unscrewed and the converter taken out should one want to use a cartridge. 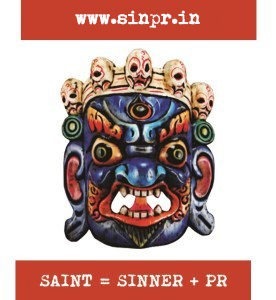 As is perhaps expected, writing is a sheer delight. The grip section rests easy on the middle finger as the thumb and the forefinger completes the grip to put it on paper. The weight of the pen is not even a fraction of the weight of the reputation of the maker and even long hours of use does not lead to the cramps that we, wielders of pens, have as our constant companion. The shape and the size too have been arrived at, it seems, keeping in mind the comfort of the end user. 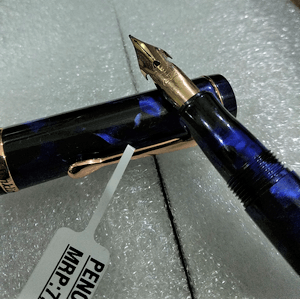 As a matter of fact, the pen has all the hallmarks of a manufacturer that has made the transition from the good to the great – it shuns the unnecessary accoutrements, is devoid of over engineering and has successfully resisted the urge for the banal that so often synonymous with limited editions. To put things in plain speak – it is a pen that performs its basic function – that of writing – exceedingly well. Now for the Omniflex nib. It has been described to resemble a bird taking flight, is thoughtfully designed and intricately cut to aid maximum performance, apart from being the perfect tool in the hands of a maestro. I do admit that I am no celebrated practitioner of the art of calligraphy, more accustomed to using my pens as a sledgehammer of an iron-smith, as opposed to the precision tools of a jeweller. Naturally, I am petrified of my philistine fingers exerting too much pressure on flex nibs that are meant for the masters. That said, the amount of line variations that I got from the nib, my clumsy hold notwithstanding, was remarkable. A gentle pressure on the down-stroke and the tines spread like willing shanks with the welcome ink gushing out, as if ordained by some cosmic desire for union with the paper, where planted are the seeds of creation – of words, as thoughts crystallise. Mind you, I have seen flex nibs from the past that draw lines that are as wide as the Route Sixty-six, and this one comes nowhere near, still. Besides, flipping the nib over and writing with the topside provides a line that is as fine as frogs hair (forgive the croak, just couldn’t avoid the temptation). And “railroading” that dreaded term that has been doing to flex nibs what needles are known to do to balloons since their respective inceptions, is conspicuous by its absence in the pen. Perhaps when the ink runs out … who knows? 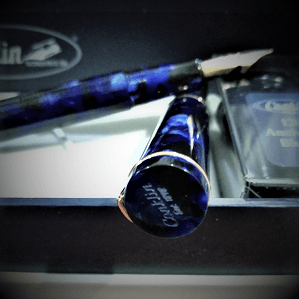 But then again, the way I am falling in love with this Conklin Duraflex, I guess, I’ll even come up with the perfect justification should that ever happen! 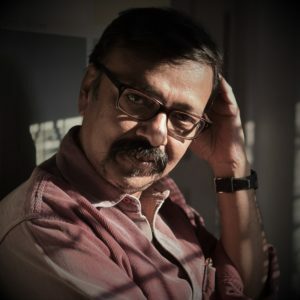 Tn the final analysis? I will certainly not add the Conklin Duraflex to my pen larder, but to my scabbard for regular, even if rotational, inking and use. For More information visit the Conklin website: http://www.conklinpens.com. Interesting topic. 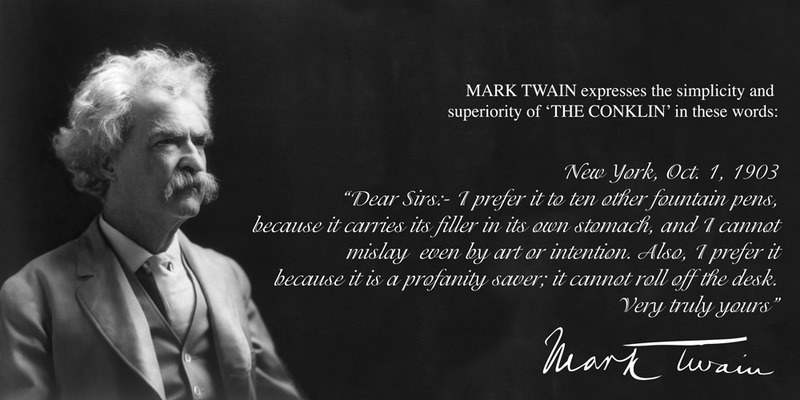 Mark Twain is one of my favourite author so i am looking forward to see this pen from you. Another historical piece coming from the brilliant man.. go on sir..